For value-minded steak lovers, the numerous sirloin cuts offer plenty of scope for experimentation. Cut from an area where the relatively tender loin meets the relatively tough round, sirloin steaks vary widely in tenderness but share a rich, beefy flavor. Sirloin tip is an especially challenging steak because the name is applied to portions cut from several places around the sirloin. Unsurprisingly, you'll need to treat them differently to enjoy good results. Most of the steaks labeled as "sirloin tip" are cut from the portion of the sirloin that extends into the round, or the areas around the "ball tip" or "tri-tip" roast. 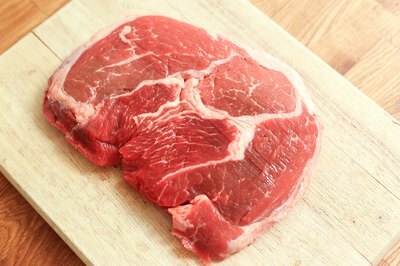 Most look like a conventional steak, compact and with a lean appearance and little marbling. In some regions, flap meat is sold as sirloin tip. This is a flat, oblong long-fibered cut that resembles skirt steak or a scaled-down piece of flank, and it's treated in much the same way. Pre-treat the flap with your favorite dry spice rub or marinade, or simply season it with a liberal sprinkling of coarse salt. Let the steak rest for at least an hour, or overnight if you're using a dry rub. Heat your grill to a medium-high temperature. If you're using charcoal, allow roughly 30 minutes for the coals to settle down under a fine coat of ash. 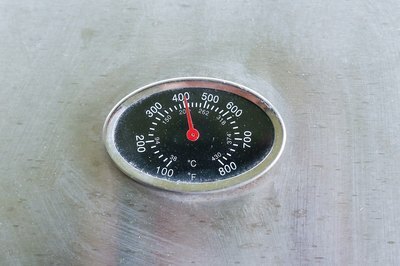 On a gas grill, adjust your flame until its thermometer shows a temperature of 400 degrees Fahrenheit. 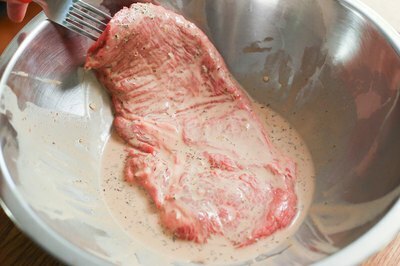 Blot any surface moisture or excess marinade from the surface of the beef, then brush or spray it lightly with oil. Flap tends to tear if it sticks to the grill, and oil helps prevent that. It also promotes browning, and if you've used a dry spice rub, it will protect the spices from charring unpleasantly. Sear the beef on your grill, turning it regularly until it reaches a medium-rare to medium temperature -- 125 to 135 F -- when tested with an instant-read thermometer. Flap meat has an oddly soft texture when raw, and will firm up noticeably as it's cooked, so with practice you'll be able to judge its doneness simply by prodding the steak with a finger. 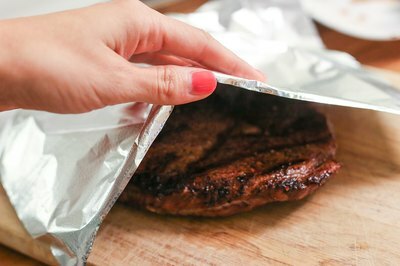 Remove your steak from the grill to a preheated plate or a cutting board, and let it rest for a few minutes under a loosely-draped sheet of aluminum foil. 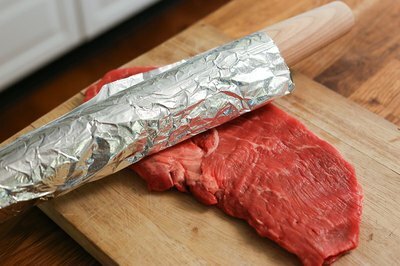 Pound the steaks with a meat mallet, or a rolling pin wrapped in a protective layer of foil or plastic wrap, until the steaks are roughly 1/3 thinner and 1/3 larger in diameter. This physically tenderizes the beef by creating tiny tears in the tough muscle fibers. 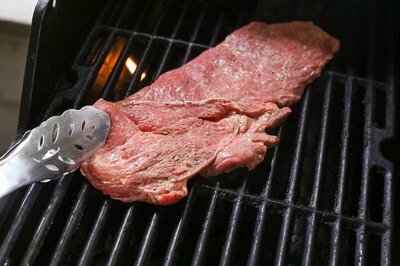 Alternatively, use a spiked jackard tenderizer to perforate the steak thoroughly on either side. Mix up a marinade, if you wish, and marinate the beef for 20 minutes or longer. The acidity has only a mild tenderizing effect, but does add flavor. 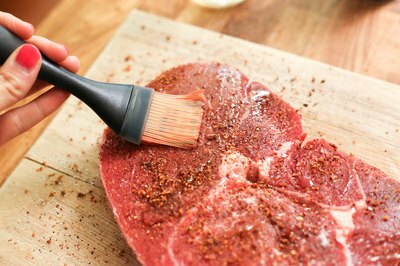 If you don't wish to use a marinade, simply season the steak with coarse salt at least 45 to 60 minutes before you begin to cook dinner. Preheat your gas grill to 400 F, or light your coals and allow them at least 30 minutes to burn down and develop a fine coating of ash. 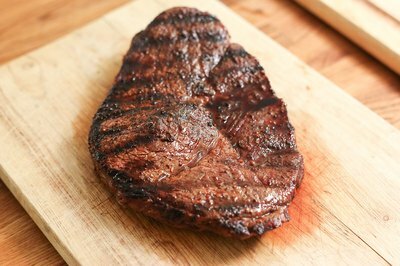 Dry the surface of the steak with fresh paper towel, removing any surface moisture or excess marinade. Sprinkle the beef lightly with an enzyme-based tenderizer, if you wish. This step is optional, but it does make the steak slightly tenderer. 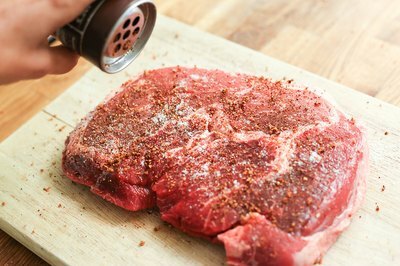 If you've already pounded the steak or jackard-tenderized it, the enzymes will have better access to the interior of your steak and will tenderize it more effectively. 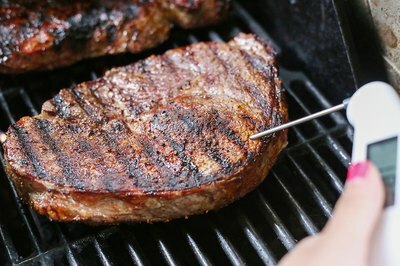 Grill the steaks for a total of 12 to 20 minutes, turning regularly, until they reach your preferred doneness. Steaks 1/2 to 3/4 inch thick take less time, while those of 1 inch or more – though thick steaks are relatively rare with this cut -- take longer.